Recently, BICS Vice-Principal Laura Magrath and I hosted a Communicating Student Learning Information Evening. 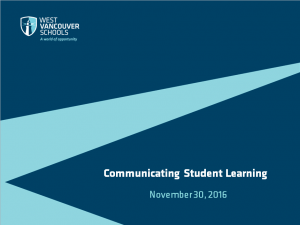 In response to major changes to BC’s curriculum, the way teachers communicate student learning has also been changing over the last two years. We started the information session by soliciting parent’s recollections of their own report cards. 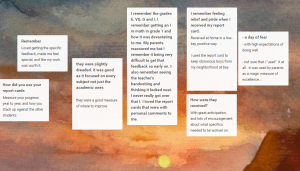 These recollections ranged from dread to excitement and they highlighted a number of things we should avoid (letters or numbers that make people feel labelled) and what we should strive for (“specific feedback, made me feel special”; “they were a good measure of where to improve”) in our newest iterations of written reports. In my mind the new Communicating Student Learning written reports which will be sent home with students on December 16 are a vast improvement over our previous report cards. When reading and using the report card, I hope families notice a nd find useful these five elements of the CSL documents. First, the reports are very clear on the foundational skills. For primary reports (Kindergarten to Grade 3) and intermediate reports (Grades 4-7), students are given clear descriptors for a student’s abilities to read, write and use numbers to solve problems. In the primary report, the terms beginning, developing and acquired are used as descrip tors referring to varying levels of support required for a student to demonstrate the skill assessed. The descriptors are based on the idea that all students can be successful; it is a matter of how much support they require to be successful with our goal of students becoming independent. At the intermediate level, the terms beginning, developing, acquired and exceeding are used. The terms are designed for parents to know precisely which areas of learning the student needs to focus on in the terms ahead. Second, the reports focus to a greater level on what students can do. 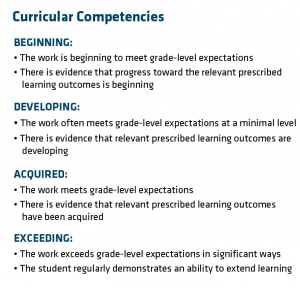 Many of the learning objectives identified in the primary report as Concepts and Content and in the intermediate report as Curricular Competencies refer to the skills needed for a specific subject; i.e. what skills does a scientist or a historian need? This focus on what the child can do aligns nicely with our feeder school Rockridge Secondary School which uses a report which places a strong focus on what students can do, with limited focus on what the student knows. 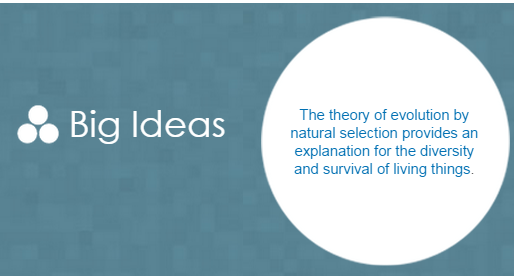 Third, the reports also give a clear picture of the big ideas and concepts students know about and understand. Transformational learning is learning that will affect how a student approaches, processes and understands future experiences. Transformational learning is often perspective shaping. When a student develops a deep understanding of big ideas, which are chosen because they are timeless and transferable, the learning can often be transformational. Therefore, while the most important and longest lasting takeaways from elementary school are skills (personal and social, reading, writing and using numbers to solve problems), understandings are still vitally important and readers of the report will see the topics and content of students’ inquiries clearly stated. Fourth, the reports continue to include information on a child’s social and emotional development. In the opening comments, in Core Competencies (for intermediate reports), and in other fields, teachers share information on the child’s social and emotional development. Schools share the role with parents of supporting a child’s well-being and development of personal and social skills. In the opening comments, teachers also refer to an aspect of our school goal of students developing their learning character so parents will find comments related to a child’s development of Responsibility, Openness, Ambition and Resilience (ROAR). Fifth, areas of growth for each student to help foster a child’s independence and confidence are very clearly identified. The Supporting Student Learning (primary) and Ways to Support (intermediate) sections of the report give a concise explanation of learning that the child needs to focus on as well as some strategies for school and home to support these needs. In addition to the comments from teachers, the reports also include reflections from students. BICS teachers will be refining student reflections throughout the year so as to accurately and authentically capture student voice on the process of learning. Our hope is for students to thoughtfully reflect on the process of their learning: were they committed to the strategies identified to achieve their learning goals? Were they successful not just in achieving their goals but more importantly in having the responsibility and resilience to stick to a plan to achieve them? Teachers, school administrators and school district staff have worked hard to develop written reports that add to the strategy of communicating student learning. We hope these documents, in addition to parent/teacher conferences, student-led conferences, and ongoing feedback in the form of assignments sent home, phone calls and emails, help families understand the progress of their children. This year, all of our K-7 reports are considered pilots so we will be seeking further feedback throughout the year to ensure we are providing the most useful tools to communicate student learning. Click below to see the slide deck from Laura Magrath for our presentation to parents on November 30. Nearly at once, both icons have fallen from grace in ways that were unimaginable just months ago. They are forcing a reckoning with ourselves and our history, a reassessment of who we were and of what we might become. 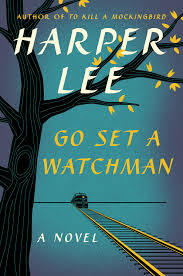 So begins Isabel Wilkerson’s New York Times review of Harper Lee’s novel, Go Set a Watchman, referring to the lowering of the Confederate Flag and the identity of To Kill a Mockingbird and Go Set a Watchman character Atticus Finch. So, as an educator in British Columbia, why am I referencing articles about the soul searching America appears to be in the midst of in response to horrific hate crimes, police violence, and the release of a novel reexamining a beloved character. As an educator, I believe that the most transformational learning is so foundational to the learner’s identity it just becomes who they are and is not recognized as learning at the time. The articles are a reminder to me to scan my biases and attempt to identify how they may be reflected in my practice. And beyond scanning biases, it is worth noting that we may be, as Gopnik writes, unable to recognize our “wrong thoughts,” so ingrained are they from our upbringing including what we learned in school. In recent years, including Stephen Harper’s 2008 statement of apology to former students of Indian Residential Schools and the findings of the Truth and Reconciliation Committee, Canadians have begun the process of recognizing historical and current “wrong thoughts.” We are at the beginning of, what Justice Murray Sinclair notes, “forging and maintaining respectful relationships.” How else does one go about scanning some of the messages educators and systems (classrooms, schools, Districts, Provinces) share with students and shape their perspectives often in such an ongoing way as to be unrecognizable? As I question my biases, I’m drawn to some of the work I participated in with several colleagues last year. 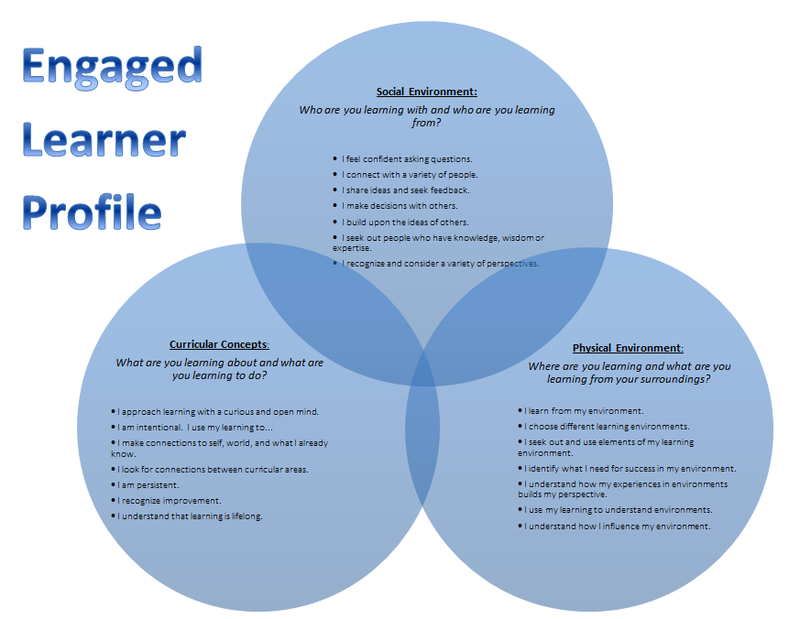 We studied learner engagement and came up with an Engagement Profile that educators could use to help learners engage themselves in learning experiences (more on that can be found here). Our Engagement Profile (still under development) asks learners, prior, during and after a learning experience, to ask several questions. The Engagement Profile could also act as an assumption profile and be a good starting point for examining biases. So, some thoughts on assumptions follow each question. 1. Who are you learning with and who are you learning from? Parker Palmer notes, “We teach who we are.” An examination of “who” we are teaching includes: What biases do I reveal to students? What topics/subjects do I show enthusiasm for; what not? 2. What are you learning about and what are you learning to do? Provincial policy decisions regarding curriculum guide what students learn about when but classroom policy decisions guide how much time is given to various topics of study and send messages to students about what skills and understandings are important and what are not. 3. Where are you learning and what are you learning from your surroundings? This question is perhaps examined the least. Too often when we think about where we learn, we think about whether the environment is conducive to learning (appropriate lighting, quiet, comfortable…) rather than whether the environment has something to teach us about the topic and or our relationship with the topic. Gopnik notes that, “we all think what will, retrospectively, turn out to be wrong thoughts,” and I know in 20 years that I might disown and possibly even feel ashamed of some of my current “wrong thoughts.” But, by asking questions, I can examine some of my biases and, knowing that I will be unable to recognize them all, use these articles as yet another reminder of the importance of not just being open-minded to other perspectives, but to actively seek them out. 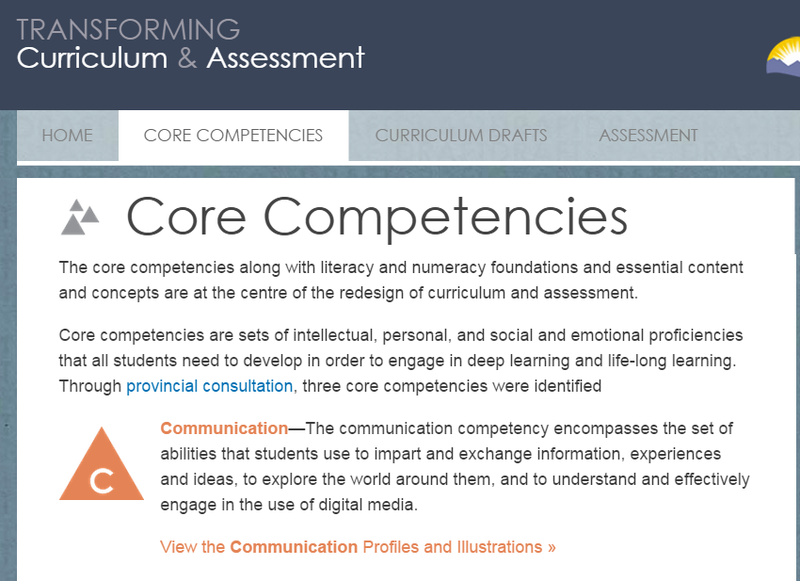 Many of our efforts at Bowen Island Community School (BICS) to transition to the new draft curriculum are focusing on understanding and making use of the Core Competencies: Communication Competency, Thinking Competency, and Personal and Social Competency. This is not easy work and my understanding of the competencies continually shifts thanks to conversations with educators at BICS and in #SD45PLN. Below, shared in green, are three understandings I think will affect the way educators and students make use of the competencies. In blue, based on the understandings, I share how the competencies can be used by teachers and students. 1. The Core Competencies, the Draft Curriculum notes, “are sets of intellectual, personal, and social and emotional proficiencies that all students need to develop in order to engage in deep learning and life-long learning.” The competencies are not subject-specific (subject-specific competencies are called curricular competencies, i.e., the scientific method in the subject science), they are transferable and often applicable to all areas of learning. Most learning experiences can develop some facet(s) of one or more of the competencies. While teachers are always mindful of developing literacy and numeracy foundations, in my experience as a teacher I have sometimes planned lessons and assignments with too great a focus on knowledge acquisition and not enough focus on what students would be able to do, or to do better, as a result of the lesson or assignment. When planning, the teacher can examine the competency facets to ensure what students can do is a core part of the lesson or assignment. The facets may even broaden or simply make explicit the range of abilities students can develop. 2. The competencies are a continuum which a person develops from the moment they start learning to the moment they stop learning. 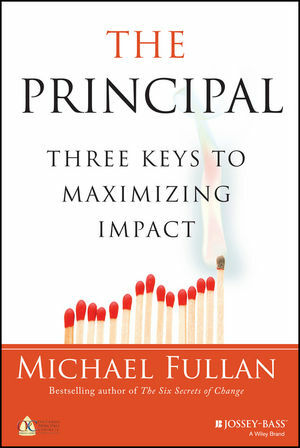 In other words, they are not limited to a student’s experience in K-12 education and the profiles of each competency are not intended to align with any grade level expectations; for example, it is not expected that all students have reached profile level 3 in the Personal and Social Competency by grade five. It is not important to focus on what profile level students achieve because a students level will vary from task to task. Profile level 8 for the Communication Competency does not mean “A+” or exceeding expectations. Students should also know that experiences outside of school, such as participating on a sports team or attending a community event, develop competencies. 3. Following from point 2, the profile levels within a competency are more pertinent to the task assigned to the student rather than the student’s performance in the task: some tasks only require the development and demonstration of a certain level of competency so regardless of how competent a student might be as a communicator, the task itself may be limiting to what the student does. The competencies are helpful for self-assessment. But self-assessment when using the competencies is more about assessing the task and the opportunities the task offers the student to demonstrate and develop the competencies than it is about assessing the student’s performance in demonstrating the competencies. In other words, self-assessment is more about understanding the task and what competencies the task makes use of and develops. Therefore, a major, if not the major, part of self-assessment happens prior to starting the task when the student assesses the task and identifies what abilities they have, or need to develop, to be successful at the task rather than after completing the task where the student evaluates their performance. 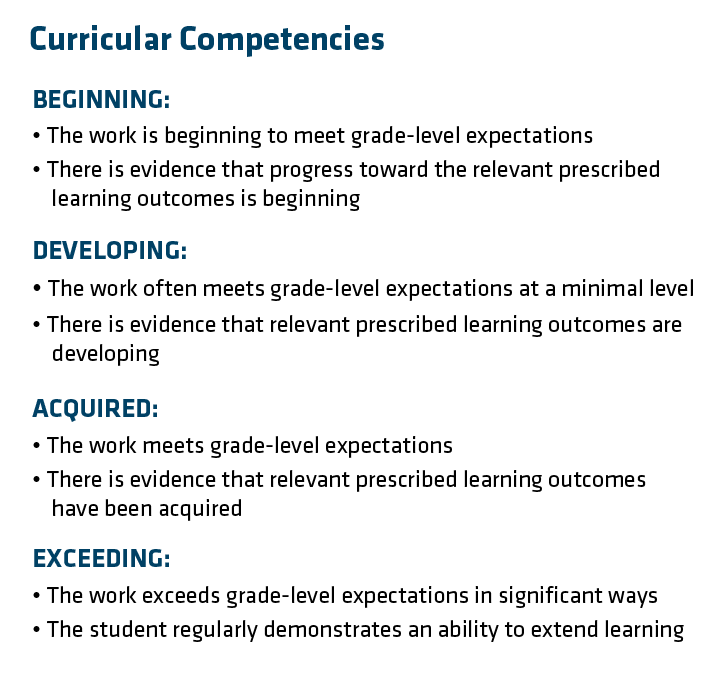 In summary, teachers can use the competencies to design learning experiences that effectively develop what students can do, not just what they are to know. Teachers have long used learning outcomes and the Performance Standards to ensure planning developed students skills as well as understanding but determining what facets of a competency might be applicable for a task allows teachers to broaden the purpose of learning tasks and provides language to articulate this purpose clearly. Students can use the competencies to understand a learning experiences: beyond what knowledge and understanding they are to gain, how is the task intended to make the student a more capable/competent communicator or thinker? What skills do students already have that they should apply to the task? The key to planning for teachers and to self-assessment for students is to have a strong understanding of the end in mind. While I am not yet certain how students will be assessed or self-assess the competencies for reporting, or even if they will do so, what is clear is that educators can make use of the competencies for planning, and students can make use of the competencies to understand tasks and their purpose.